It was marketed in the 1950s and sold for around $225. 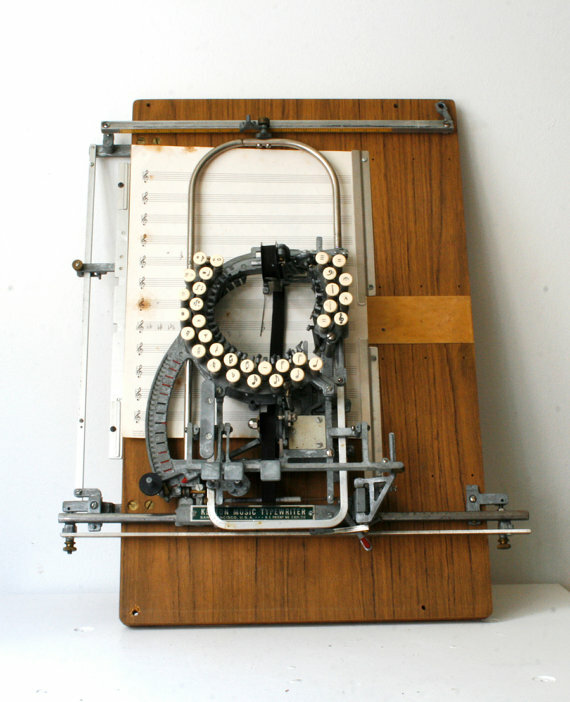 The typewriter made it easier for publishers, educators, and other musicians to produce music copies in quantity. If you have six grand lying around you can own one of these beautiful pieces. This entry was posted in Uncategorized by holmesandmarchant. Bookmark the permalink.